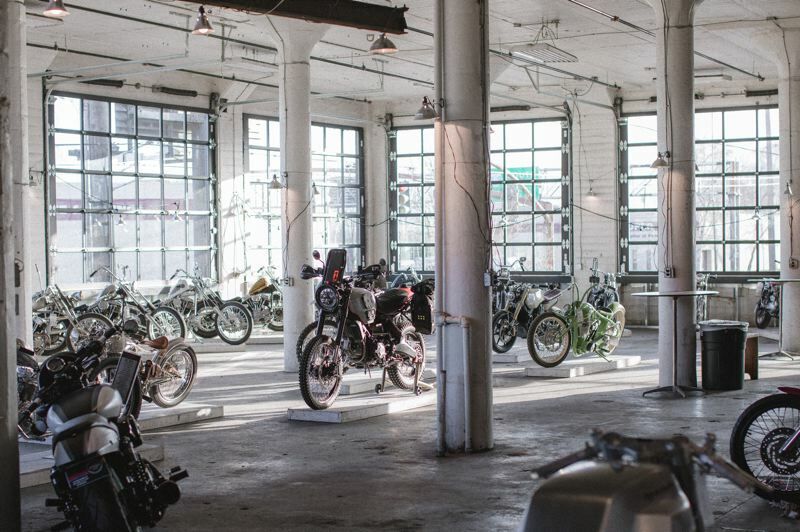 Motorcycle culture takes over the old Pickle Factory building in North Portland for the 10th annual One Moto Show, Friday through Sunday, Feb. 8-10. Ten years ago "it was pretty organic ... and quirky," founder Thor Drake says of the event. Today, it's a big motorcycle show that attracts builders and fans from throughout the United States and some foreign countries. Drake once built trade show booths in the warehouse, which sat empty once they were shipped away. To wit, Drake thought, "Hey, let's have a motorcycle show." "We did that and it went off like gangbusters," he says. "We had a lot of people show up and about 60 bikes and 1,000 people. We kept doing it. The hardest year was the second year because we had something to prove at that point. What I really love is that people now say what year they've loved the most. Each year has taken on a life of its own. It really appeals to everybody, from little kids to people not interested in motorcycles at all. "It's a big show, and it's not just about motorcycles. There is art and music and great food carts. Everything we do, we curate to the largest number we can, to the smallest detail. We try to make it an experience, through and through, where you leave with new friends." And to mark 10 years and the growth of the event, The One Moto Show has attracted a big sponsor: Indian Motorcycle. Drake has been building a race-modified Indian FTR 1200, which will be on display at the show and at The One Pro Super Hooligan Race at Salem Indoor Speedway on Saturday. In its stock form, it's a heritage, flat-track-inspired street bike that Indian Motorcycle plans to make available through dealers this spring. The FTR 1200 takes design and styling cues from Indian's championship-winning FTR 750 flat-track race bike. Drake, who also owns See See Motor Coffee Co. at 1642 N.E. Sandy Blvd., welcomes Indian's sponsorship. Indian was founded in 1901 and is known as "America's First Motorcycle Company." "Indian Motorcycle is an iconic American brand with a rich history in racing," Drake says. "It's exciting to work with such a progressive company." "Thor Drake is a pioneer in the motorcycle industry, continuously challenging the status quo and inspiring ingenuity within our community," says Reid Wilson, senior director for Indian Motorcycle. Drake also is building a second bike for the show, a 1960s-style BSA chopper motorcycle. 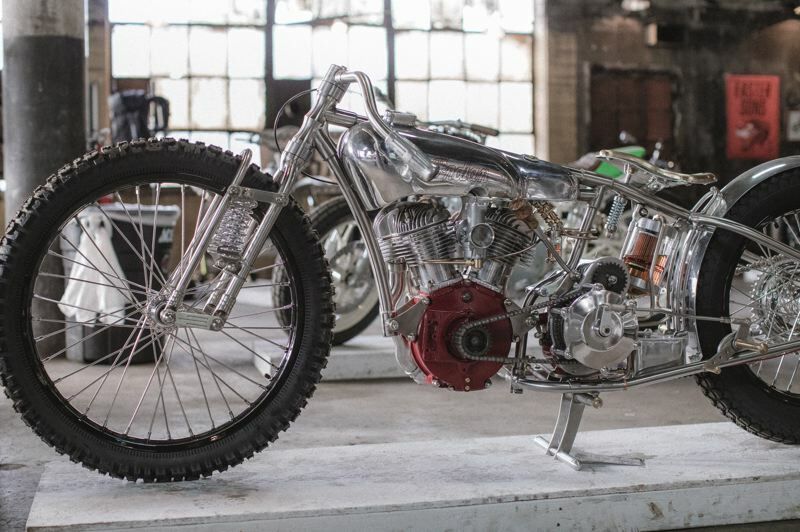 The One Moto Show still stages at the Pickle Factory, 900 N. Columbia Blvd., which once housed an aluminum foundry. It's currently being renovated. What's inside during the show is what's really cool. There'll be almost 200 bikes from around the nation, as well as countries such as Japan and Spain, many of them custom-made. 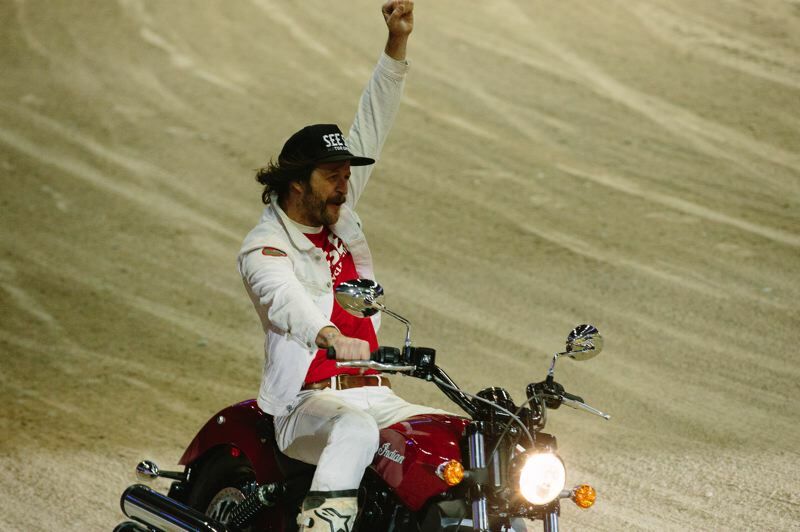 "We focused on the art and style in the show, and we got recognized pretty early and have been working with a bunch of different manufacturers in recent years," says Drake, referring to the likes of Carey Hart and Roland Sands. "That's where we get support to bring in bikes from other countries. It's a mix of garage builders, first-time builders, veteran builders, racers." Organizers describe the show as "awesomely weird," because of its organic nature and the group of friends involved. Organizers hope it will attract young people — millennials, "hipsters" — to sustain motorcycle enthusiasm through the next generation. Drake has merged interests at See See Motor Coffee Co., where custom bikes and helmets adorn the place and Stumptown Coffee and the java culture feeds souls. (There's also a See See in Reno, Nevada). "We love coffee and we love motorcycles," Drake says. "Our thing is to create that inclusive environment to bring in everybody. It's been a challenge. There are communities around coffee and motorcycles, and it sometimes confuses people." The shop does a "21 Helmets" show in which local high school students design motorcycle helmets because, as Drake points out, "it's good to be safe and you can be cool in some ways." For complete info on The One Moto Show, see www.The1Moto.com.